Pretty much all Evil Eyes I imagine. Looted one from one of the Evil Eye Prisoners in RunnyEye as well a few hours ago. 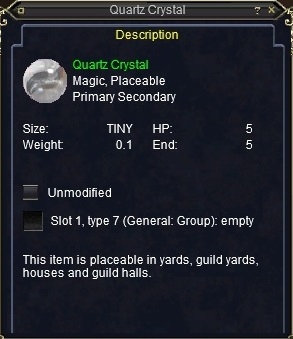 Quartz Crystal sometimes drops from Ghanex Drah, a ~16 necro (casts Fear) gnoll in the undead ruins in South Karana.